Customer lifetime value is one of those predictive measures that’s really easy to calculate but really hard to change. You pour money into your acquisition channels. You try different approaches to upselling, cross-selling, and whatever other new tactics have cropped up on the latest marketing blogs. Nothing seems to work. For months at a time, your average customer lifetime value just doesn’t seem to budge. While there’s plenty of advice on the internet that will promise a quick fix for improving your average LTV, the reality is, more often than not, you need to reconsider your entire strategy. In this article, we will cover exactly how to increase your average LTV with the power of data unification, behavioral analytics, and personalization—but first, let’s dive into how to calculate your LTV quickly and easily. In more technical terms, average LTV is equal to the average revenue per account multiplied by the gross margin and then divided by the churn rate. To calculate your average revenue per account, take the mean subscription costs of all of your users and then multiply that by the gross margin of each account. Gross margin is typically calculated in percentage points, meaning that the margin is a percentage amount of profit you make off of each customer. For instance, if your customer’s subscription is $30, but the servers you’re running your product on cost $15 per customer per month, then the gross profit margin is $15 or 50%. Finally, your average churn rate is the amount of customers that do not end up renewing their service in a single month. While this formula assumes that churn rate follows a linear trend, that is almost never the case. 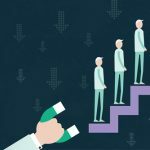 Since churn rate can be fairly unpredictable, keeping your eye on that metric is a surefire way of making sure your expenses don’t overwhelm your profits. Chartmogul illustrates what churn looks like in the real world. 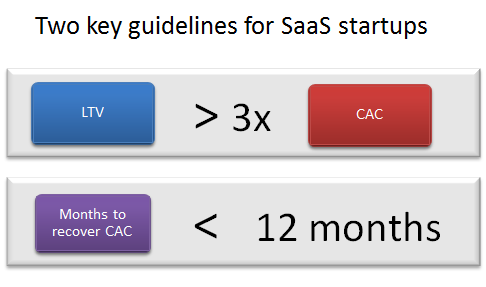 Keeping your SaaS safely profitable means constantly comparing your LTV to your customer acquisition cost (CAC). The cost of getting your customer to subscribe shouldn’t overwhelm the lifetime value of that customer. If you keep your LTV to CAC ratio at 3:1 or higher, you’re golden; you should have free reign to experiment with riskier ways of boosting your revenue. 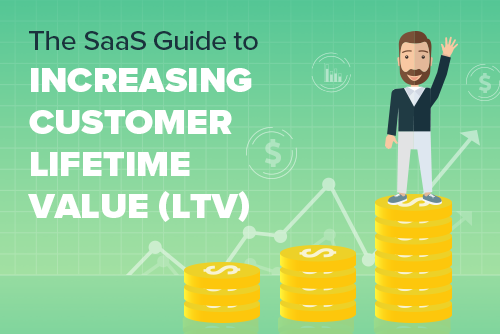 Calculating average LTV is a great first step to making sure your SaaS business is stable and profitable. Optimization is a different story, however. In order to get valuable insights that can help you raise your average LTV, you’ll need to focus on the four key areas that nuance the understanding of your average LTV. While there are multiple approaches to building an LTV optimization strategy, we’ve found these four areas to be the most important building blocks when you’re starting to build your strategy from scratch. By unifying your data and centralizing all of your analytics streams, you’ll be able to segment your users, personalize your service, and monetize your strategy effectively. Alright, first things first, let’s talk about unifying all of your data streams in order to get actionable insights from your information. If you successfully combine all of your data into one storage solution, such as a data warehouse, you’ll be able to find the weak points in your LTV optimization strategy. What do we mean by data unification? Well, let’s say your service currently has several marketing acquisition channels, such as Facebook Ads, AdWords, and even user referrals. While you could just get all of your acquisition measures through each of the dashboards built into these services, leveraging the power of these metrics means putting them side by side and measuring them against one another. 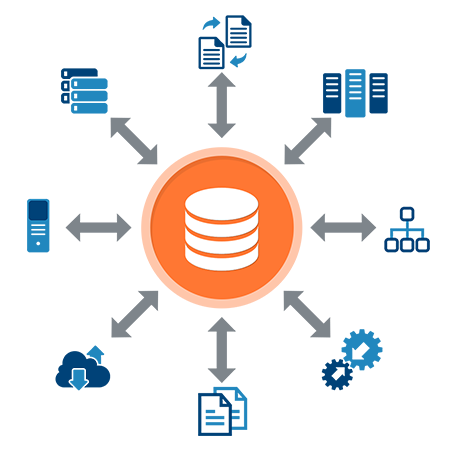 To do this, you will need to either build a data warehouse or purchase a pre-built option. 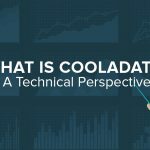 Check out CoolaData’s data unification service if you’re interested in hearing more about data warehousing and the insights that these services can offer. 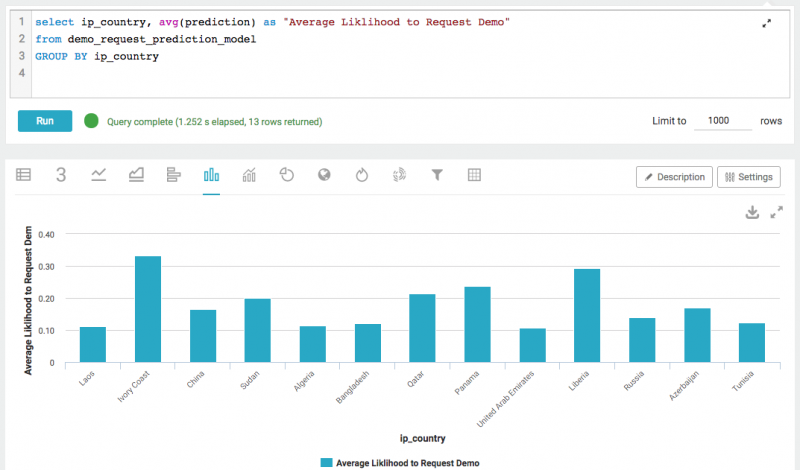 By unifying your data, your insights become a lot more valuable. Having all of your data at your fingertips means being able to make complex LTV calculations quickly and easily. For instance, you can instantly see if the users acquired through Facebook are more valuable (have a higher LTV) than those customers acquired through AdWords. Analyzing and segmenting your average LTV becomes a lot easier, too. In just a few clicks you can identify pain points in your LTV optimization strategy that weren’t clearly visible before. In a comprehensive data warehouse, LTV can be measured across many different acquisition channels or behavioral metrics. If you want effective analytic insights, there’s really no better way to optimize your LTV than to have every bit of user data at your disposable. For that reason, having all of your data unified makes segmenting your population that much easier…. If you segment your population into meaningful categories, you can yield powerful insights into how you can raise your average LTV. In our experience, behavioral segmentation is one of the best ways to go about divvying up your users, mainly because behavioral methods are responsive to how your customers actually use your application. Segmenting your users by their behavior means getting to know how they engage with your application’s functionality. That could mean getting to know if they have completed the intro wizard, whether they’ve created a project, or whether they’ve set up a profile. Calculating value along these lines allows you to pinpoint your most valuable and engaged customer base. In turn, this allows you to reduce the churn rate of your best customers and target them with specific perks, benefits, or other brand-loyalty rewards. Here are a few useful first steps to categorizing your users by their behavior. The first and easiest way to segment your customers is to see how much they use your service. You could split your customer population by defining heavy, moderate, and low usage segments and then calculate the LTV of those groups separately. Identifying which group comprises the most long-term customers can help you target those customers and reduce churn rate with a variety of different tactics, including, but not limited to, promotions, incentives, discounts, and various other kinds of perks and benefits. 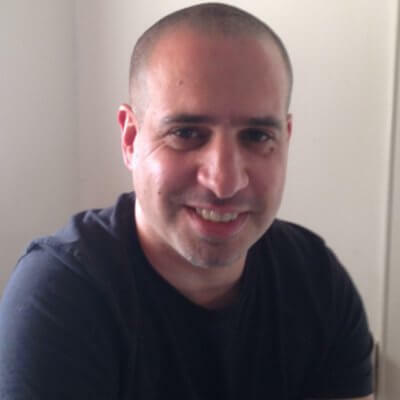 While the tactics themselves will depend on the industry you’re in, generally you want to lower the barrier for engagement for your low-usage segment and make the heavy-usage segment privy to some kind of loyalty program. Another great behavioral segmentation metric is the amount that your users engage with a variety of your services. While this metric can seem to be the same as the usage metric that we just discussed, engagement scores are different because they track how your users are engaging with your product. For example, if your service has an introductory tutorial, you could find out if the users who completed it are more likely to use your application for a longer time period. Then, you can see if those users are more or less likely to churn, providing valuable feedback on how effective your tutorial is at retaining customers. In that way, we’ve found that an engagement score can spell the difference between a happy and engaged user and a user who is ready to churn. When, where, and why your customers spend money on your SaaS product is a great metric that can help you boost average LTV without necessarily committing to making changes within your service itself. By sending out call-to-action (CTA) notifications when your users are most likely to spend money—at the beginning or end of the month, for instance—can mean the difference between a customer purchasing the next pricing tier or churning altogether. If you know your customers’ spending habits on a daily, weekly, and yearly basis, then you can boost LTV just by properly placing CTA notifications and upselling more premium-priced plans at the right time. While cohort analysis is a different branch of user segmentation, using it in tandem with your behavioral metrics could provide some valuable insights for your optimization strategy. 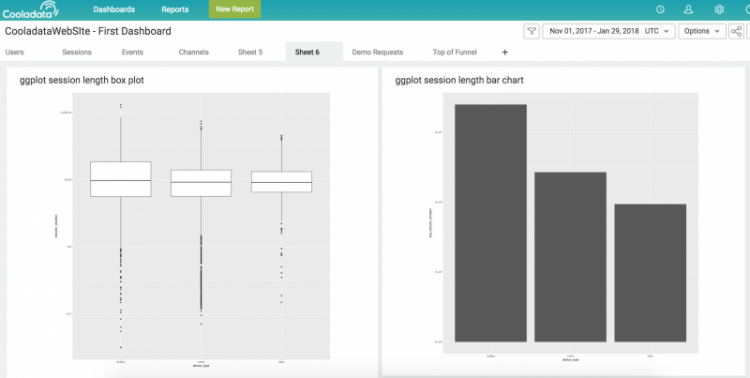 How does cohort analysis differ from behavioral segmentation? Well, cohort analysis focuses on the external characteristics of your users rather than their intrinsic behavior. For instance, cohort analysis can let you see which geographic areas your users are in, or which acquisition channel your users were acquired through. By using cohort analysis in tandem with behavioral segmentation, you can really boost the efficacy of your LTV optimization strategy by truly seeing how each measure interacts with one another. At the end of the day, every SaaS company is different. The metrics and questions posed above are good first steps to building a comprehensive LTV optimization strategy, but these metrics are by no means an end in and of themselves. The key takeaway here is to identify your most valuable customers and what makes them special, then optimize your acquisition strategy to get more of those users. Finally, try to keep your most valuable users happy by personalizing their experience. So you’ve identified your perfect user: they generate the most value, you know where they came from and what makes them tick. Now, how do you make your product the best product available to them on the market? Let’s say you’re a mobile game company. 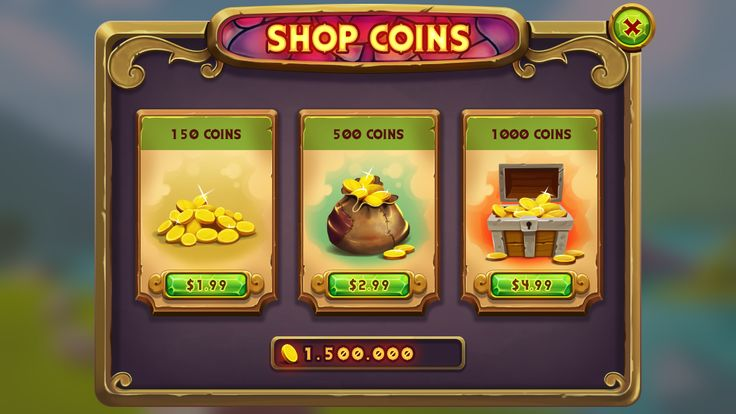 Your high-value user segment found out about your game through Facebook and loves mining for coins on a daily basis. Now, you will need to tailor this user’s experience in a way that will boost engagement and interaction. This could mean providing these users with additional incentives, such as the aforementioned coins, or it could mean providing a month of free premium-tier subscription as a reward for their loyalty. It could also mean generating additional content for these users that would make sure that they never run out of things to do in your fictional fantasy world. In a real-world example, Apple’s generous repair and replacement program keeps users loyal because they feel safe in their investments. Personalizing your service means communicating value. By knowing which parts of your user base respond best to which call-to-action notification, for instance, you can connect with your customer in a way that is respectful and considerate. In a recent study done by Harris Interactive, the researchers found that 56% of those polled would likely switch to another company if that company offered more ways to connect with them. Below are a few great ways of personalizing your service to make sure your high-value customers remain satisfied and profitable. ClickFox’s study revealed in 2013 that 75% of those polled prefer to be contacted by email or text message than over the phone. Test changing the kind of call-to-action notification you use for a specific group in order to increase engagement. For example, if a certain cohort of your users are more responsive to emails than they are to in-app notifications, try getting rid of email outreach to that group entirely and see what happens to their engagement scores. Using behavioral analysis, we can find out what time of day, month, or year your users are most active and reap the benefits of targeted CTA alerts. This personalization tactic can make your user more likely to engage with your application if they’ve been dormant for a while. Getting that notification to pop-up at the right time, however, can be a bit more tricky. Knowing which time zone your customers are in really helps because then you can send them a notification during lunch or another time when they’re likely to be on their phone. Providing your most valuable customers with additional perks and benefits can help build brand loyalty and increase those customers’ LTV. Brand loyalty, or how likely your customers are willing to stick with your service rather than to jump to a competitor, can really add stability to your revenue strategy. Offering free monthly promotions, or giving your loyal customers steep discounts can help assure that those customers stick around for the long haul. Finally, it’s good to have a strategy for the customers that have fallen through the cracks. Customers that have churned aren’t always a lost cause. Using behavioral segmentation, you can try and find ways to try to re-engage these customers. You could send out a promotion or offer them a discount. You could send them a blog post or something that will make them passionate and engaged. Be careful with this approach though—make sure to be sensible with the amount of times you reach out to previous customers before letting them go. By engaging your users using behavioral segmentation and by varying your approach, you can target specific segments that will then raise your overall LTV. 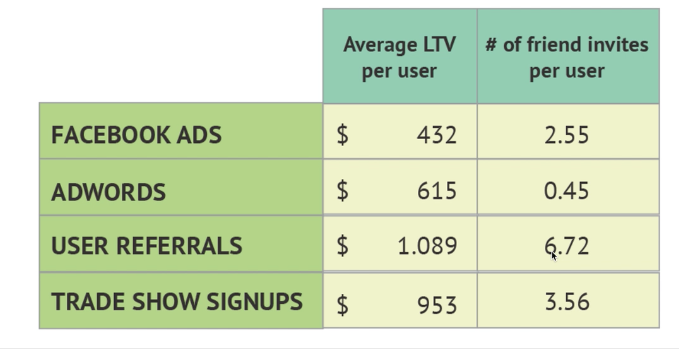 The final and most important focus area for improving your average LTV is your monetization strategy. Generating value across the average LTV of all of your customers, however, can be tough. For that reason, behavioral segmentation is another way of bringing about micro-level changes that will have macro-level results. Below are a few ways that you can target specific groups and increase your average LTV. Mapping different forms of CTA (such as email, in-app notification, text message) across several months can paint a “bigger picture” of how well you’re monetizing communications with your customers. 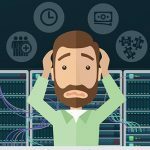 If the users that you converted over email cancel their subscriptions, you should know that and address those problems as quickly as possible. On the other hand, if the users that are most responsive to in-app notifications are more likely to buy your product, you can try and acquire more of those customers in your next marketing campaign. Maybe your cheapest subscription cost is still too expensive, or maybe you can create a separate enterprise solution for a certain segment of your cohort. Either way, understanding how your LTV differs across multi-tier pricing models can help you maximize your LTV for those customers. Upselling usually means getting your customer to purchase a more expensive version of your subscription. Knowing your target market and the different segments of your customer/user base can help you decide which users are more likely to convert to a more expensive version of your service and which specific services would make the higher-priced subscription more appealing to a certain group. Try playing around with the features that go into your paid plans and seeing which kinds of users are more likely to purchase the next tier. This way, you can find out the time, price, and method that would work best at converting your lower-value customers into higher-value customers. Cross-selling entails selling different products or services offered by your business to an existing customer. Are some of your customers avid readers of the blog? If so, here is a great opportunity to cross-sell another service—such as an eBook or another piece of content—to a subsection of your user base. Cross-selling and upselling can both be big boosts to your average LTV if you know a lot about your customers and their needs. These are just a few of the ideas that utilize the insights that you get from your customers in order to improve your monetization strategy. At the end of the day, all of these adjustments are part of an ongoing process; you try one approach and then see if your average LTV changes before you go on to try something else. We have found over time that taking the time to personalize your customers’ experience can pay great dividends in the long run. Because every business is different, optimizing your LTV can sometimes mean trying new and unconventional tactics. By unifying your data and streamlining your behavioral analytics, you can optimize LTV through a variety of new measures, such as the success of your different marketing acquisition channels and the different kinds of CTAs that work best for your customers. Getting insights from user behavior is especially fruitful—seeing how your users interact gives you an appreciation for the ways in which your customers actually engage with your application. Finally, testing out different monetization strategies across user behavior groups has given us significant insight into who is more responsive to conversion or churning. Using these tests as a litmus test for brand loyalty helps retain your most valuable customers by targeting them with promotions, discounts, and incentives. We hope you found this post to be thorough and informative. What have been your methods for improving the LTV of your customers? Has behavioral segmentation or cohort analysis played a big part in your approach? Let us know in the comments, and thanks for reading!